The trend recently refers to statement-making. There are people who still follow conventional ways while some people desire to be different. When preparing a marriage proposal and wedding ceremony, some couples would like to state and share their own interests and styles to others. For those couples, traditional styles in engagement and wedding are not their preference anymore. 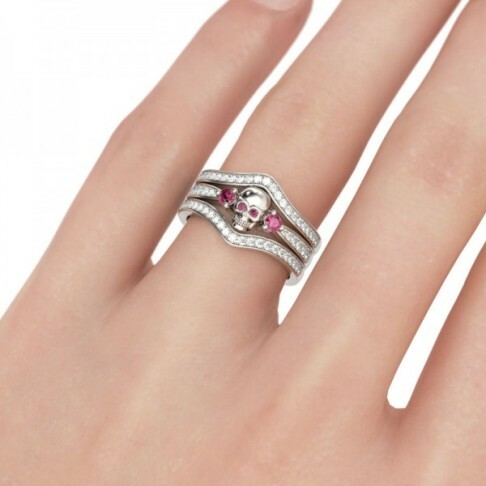 That’s why when choosing rings for engagement and wedding occasion; they opt for distinctive skull rings that convey their unique taste yet still symbolize love and commitment. 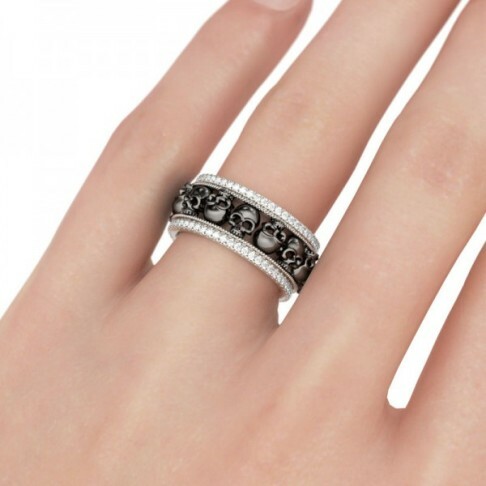 As a worldwide trusted jewelry store, jeulia notices this trend and offers exclusive skull rings collection for those unique couples. Gothic couples, big fans of punk and rock metal or heavy bikers are some people who adore jewelry items which decorated with skulls or bones. Are you one of those and now in search for high quality womens skull rings? 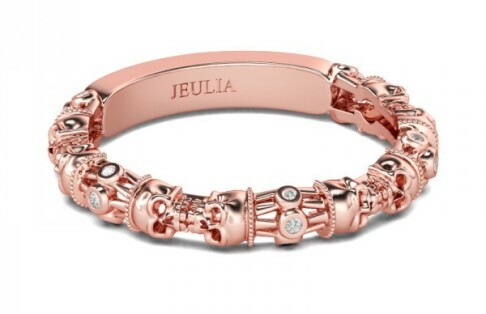 Well, just go to Jeulia to find the rare and exceptional ring designs. The rings looked spooky and scary but also elegant! An engagement ring is given to represent one’s commitment. For people who choose non-traditional way when proposing their sweethearts, they will need extraordinary skull engagement rings to make it special moment. The items are differently designed and created indeed yet still appealing. Check out some designs I share here. Don’t the rings attract your attention? 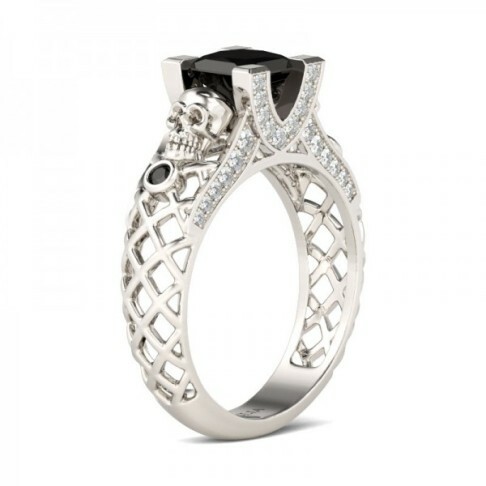 Wearing skull wedding rings is going to give the style of your wedding a totally new dimension. It could be a dark gothic, punk, rock or biker wedding theme. Whatever your chosen wedding style, it would be a matchless wedding. For the bride, a perfect design of skull wedding jewelry will provide a scary elegance; it will make her a different charming bride. Hehe, cincin pernikahan bermotif tengkorak? Kenapa tidak, tapi sudah lewat cukup puas dengan belah rotan elegant walau terkesan biasa-biasa saja haha.